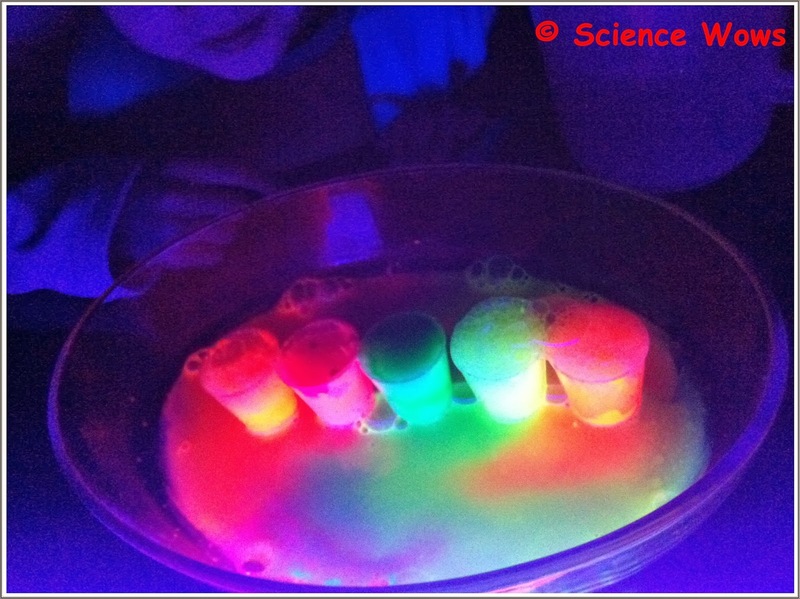 I told you we were a little “glow crazy” in our house this Halloween season and I promised you one more glowing blog post, so here it is… we decided to give an old favourite… “rainbow explosions” a new twist and made them glow in the dark. This one was so much fun! This is just like the original Rainbow explosion experiment except we used fluorescent paint instead of food colouring and we added the vinegar to the bread soda instead of the other way around! Line up your plastic cups on your tray or plate… one cup for each colour you have. Add half a teaspoon of bread soda to each cup. Add half a teaspoon of your flourescent paint to each cup, a different colour per cup, and mix into the breadsoda. Turn on the UV light, and turn off your main light, and add vinegar to each pot. Watch the “explosion” of glowing rainbows! 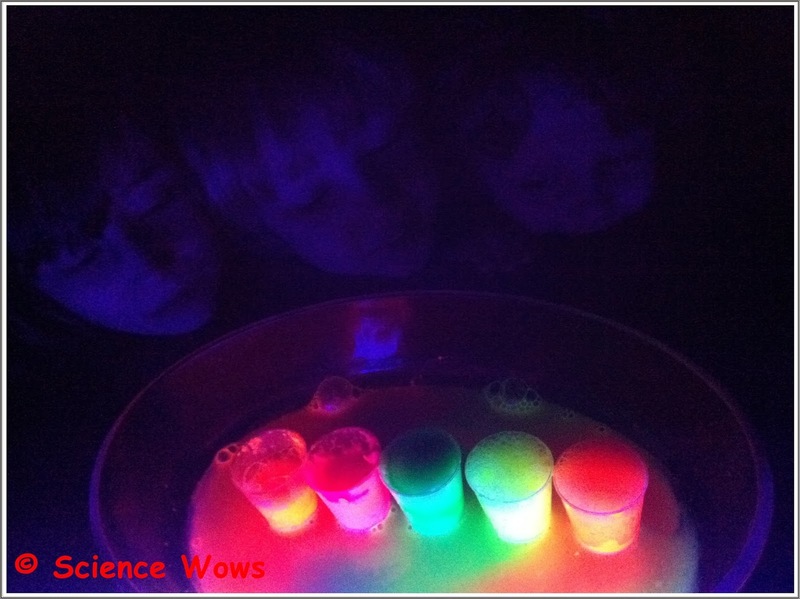 *If you do not have a UV light you can try this experiment in daylight as the fluorescent paints will still give a great colour explosion, or you can use different colours of glow in the dark paint and turn off the lights!! My three Junior Scientists really enjoyed this one! We loved how all the colours mixed together! Have fun and HAPPY HALLOWEEN everyone!